What do you think of when you think salsa? 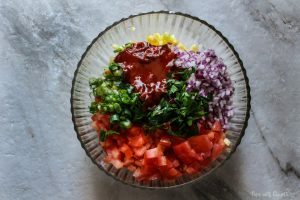 Salsa has always been a very refreshing, tangy, flavourful blend of tomatoes and onions, generally a condiment to be used on nachos or tacos – but then I discovered fruits in salsa and that opened up a whole new world of flavours to me. 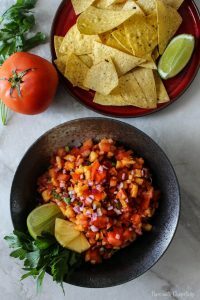 My first fruit salsa was a peach salsa and I was blown away. The mild sweetness with that fuzzy peach flavour, melded with the usual tang of a tomato salsa went together so beautifully and flavourfully. It added that sweet element to the tang that I now crave in a salsas. 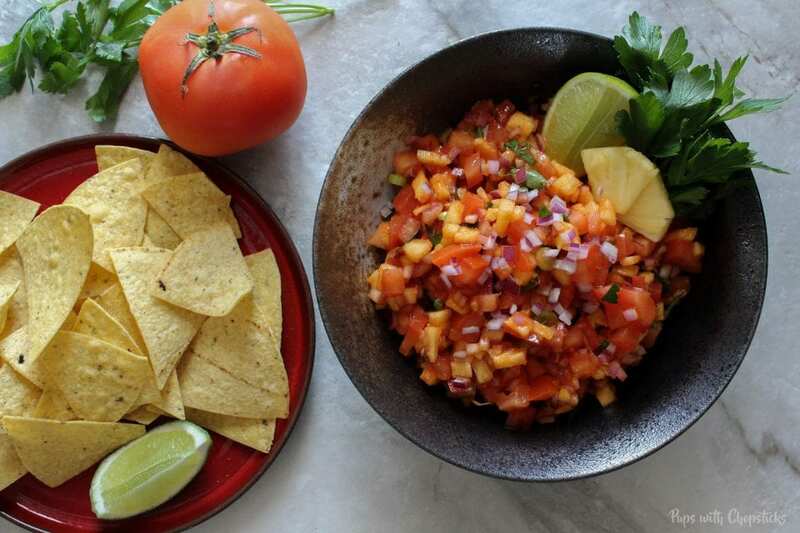 Salsa is Not Limited to Just Tacos and Nachos! I never got sick of it, there’s always a way to use it 🙂 What are some creative ways you used salsa and how do you normally have it? 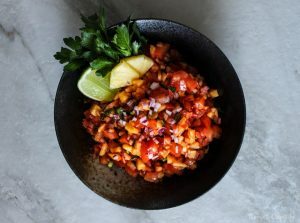 For this pineapple salsa, all ingredients should be available at your local grocery store, with the exception of gochujang paste which can be found at your local Asian super market. Cilantro is optional in this recipe. I personally find it too flavourful and can overpower flavours but a lot of people like the refreshing flavours it gives. For the pineapple, I used a fresh pineapple. 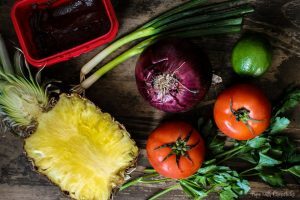 For a quicker pineapple salsa you can substitute it with canned pineapple (drained). This is a simple recipe, but requires quite a bit of chopping. Remember to rinse your knife after cutting fresh pineapples, tomatoes and citrus fruits. The acids from the juices dull the blade edges. 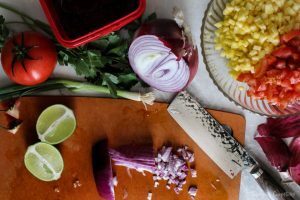 I have some tuna steaks in the freezer, I think this would be perfect with them! Girrrrrl! I love fruit salsas! They’re honestly one of my go-tos whenever I make spicy fish or shrimp tacos. The sweetness and tartness plays so well with savory flavors. I’m totally going to try this one. I love a good fruit salsa but haven’t tried pineapple. Sounds delish! 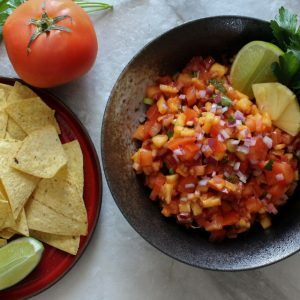 I love your ideas for using salsa! I have to start putting it in soups! I like to put salsa on top of my eggs and mix it in pasta! 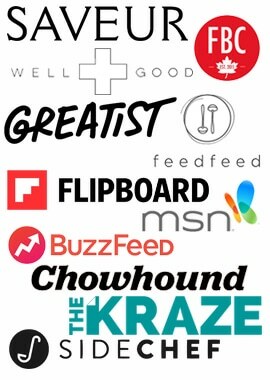 I know, not very creative! ha ha. I love sweet and spicy flavours… mmmm pineapple and gochujang sound so good together!